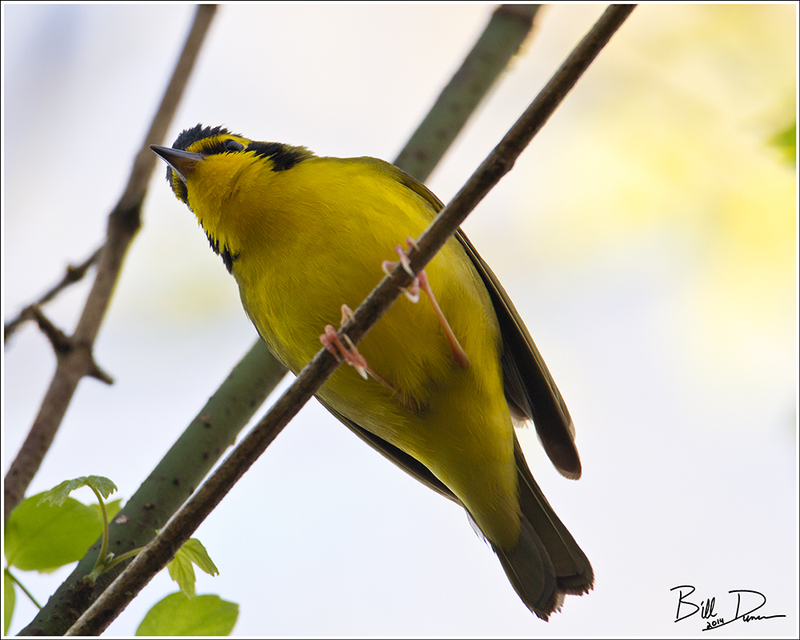 The Kentucky Warbler’s chury, chury, chury can sometimes be difficult to discern from the songs of the Ovenbird or the Carolina Wren. This warbler builds its nest usually just off the ground, confined within heavy vegetation, and often are parasitized by Brown-headed Cowbird. This guy was coaxed out with a little playback in a woody thicket near the parking lot at Greer Spring. Check out the short tail, easily evident in this photo, which is a good field mark for this species.